Friends of Forth Valley Hospital are hosting a sale of work in the atrium on Wednesday. An offender lost the plot at Forth Valley Royal Hospital and threatened to harm himself and others before punching a wall. 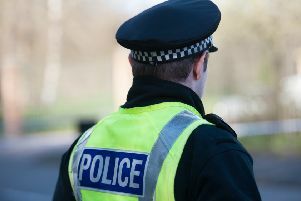 During his violent episode Daniel Underwood (24), 50 St Giles Square, Camelon, also challenged staff to a fight, threw containers to the floor and tossed a cup of water. Underwood appeared at Falkirk Sheriff Court last Thursday having pled guilty to the threatening behaviour offence he committed on December 16 last year. He subsequently failed to attend a social work appointment, claiming he had not received notice because he had moved out of his father’s address. The case was adjourned until January 31 for reports.